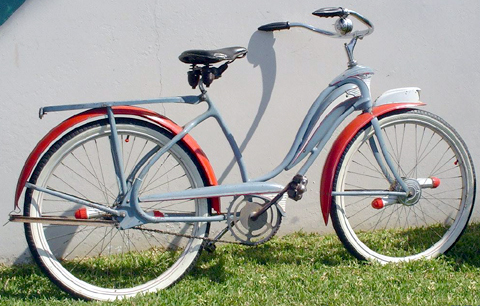 The previous owner made a lovely job of restoring this Mercury Cyclemaster. Of course, we all prefer our bikes in first class unrestored, original condition. Preferably with the manufacturer’s name shining through its transfer. And we don’t complain if there’s also a badge attached by the original dealer who sold the bike. 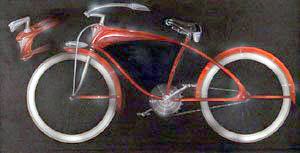 Mercury had the contract to build cycles for Cyclemaster Ltd. So a Cyclemaster engine in a Mercury frame is an interesting original pairing. Essentially it means that the bike was made to be stronger, to cope with the extra few mph. And front forks were uprated (below). 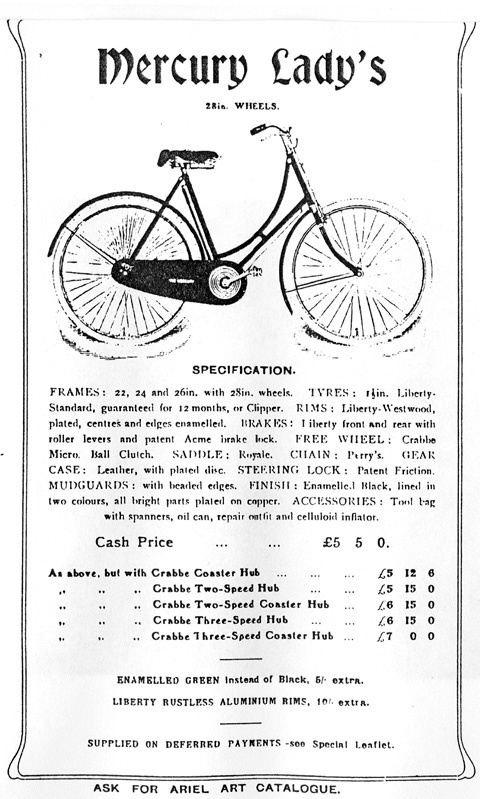 Remember this was still a couple years before ‘mo-peds’ made cyclemotors like this obsolete. Its companion is a Cyclemaster ‘Roundsman’ Delivery Bike. Mercury Industries (Birmingham) Ltd. started in 1946. 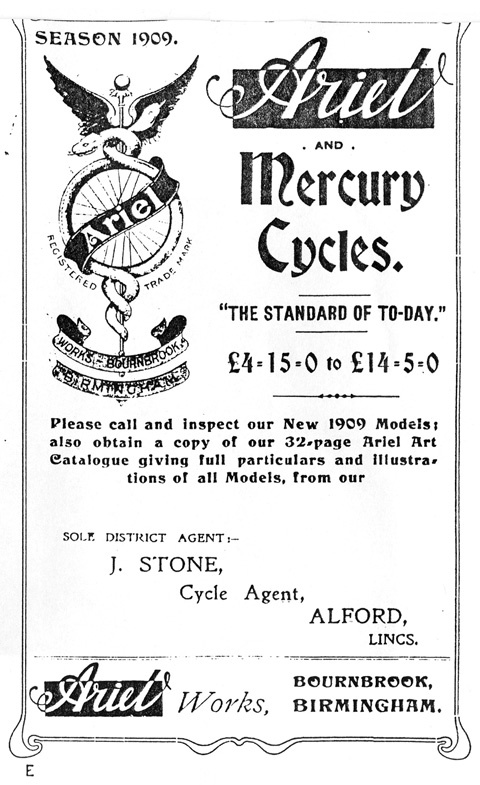 They were based in Stratford Road, Birmingham and manufactured large numbers of bicycles. They subsequently moved to Dudley. 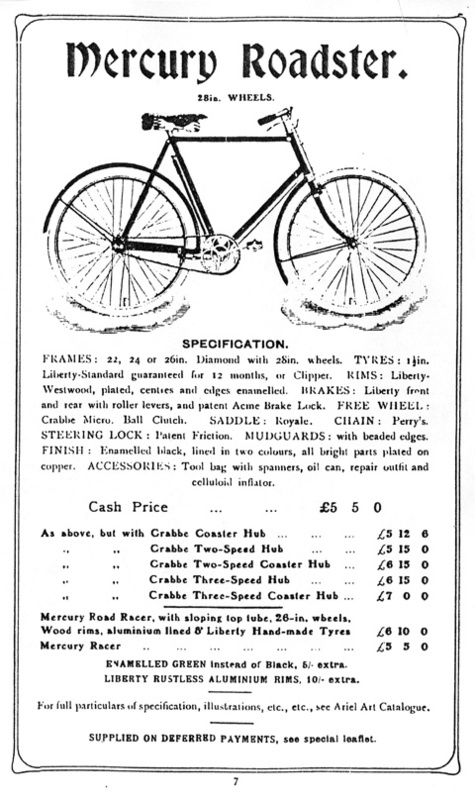 The tie-up with Cyclemaster proved lucrative and, as a result, Mercury appear to have got the ‘moped/scooter’ bug. It’s quite understandable, as just about every manufacturer wanted to cash in on these two new crazes that were revolutionizing transport. However, their next foray into motorized vehicles was not so successful. Above is my unrestored Mercury Hermes scooter; it came from the Combe Martin Motorcycle Museum in North Devon, which closed down some years ago. 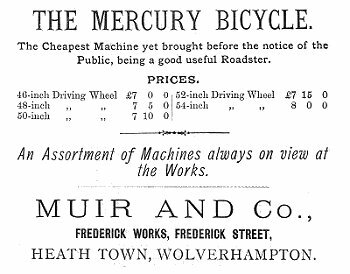 Murray was the world’s largest bicycle manufacturer. Designed by Viktor Schreckengost, Murray’s chief designer, the streamlined Mercury (below) was exhibited at the 1939 Worlds Fair. Viktor was one of America’s most prolific designers, and he died in 2007, aged 101. Here’s a 1941 Murray Mercury (photo from the internet). Somewhat off-subject as it has four wheels not two, but the 1949 to 1951 Mercury Coupe was one of the most iconic postwar American cars – James Dean died in a Porsche, but lived in a Merc. The model became the ultimate ‘ledsled’ custom car. 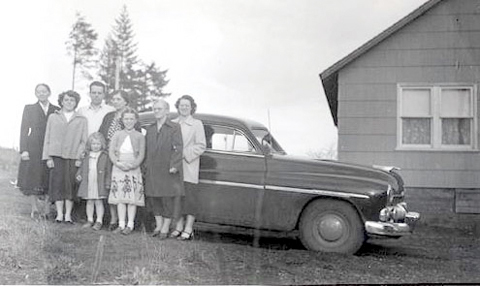 I hope this image of a Mercury sedan from my vintage photo collection is not too inappropriate to round off this page.